Our bodies deal with sickness and damage in many different ways. Sometimes they can manifest in obvious ways—while at other times, not so much. In this way, health is truly complex. We can easily detect certain health problems in some people (and even ourselves) with just a glance. But it doesn’t always work that way. This is especially the case with nerve health. More importantly, the biggest threat to nerve health, nerve damage, can go easily unseen and unnoticed. It can also go misdiagnosed or confused with a whole bunch of other different problems. It can also emerge as many different types of issues that, at first, may not seem connected at all, such as emotional mood disorders and pain. Though the deeper one looks, the connection is there, because all symptoms stem from the nervous system—which governs the nerves. 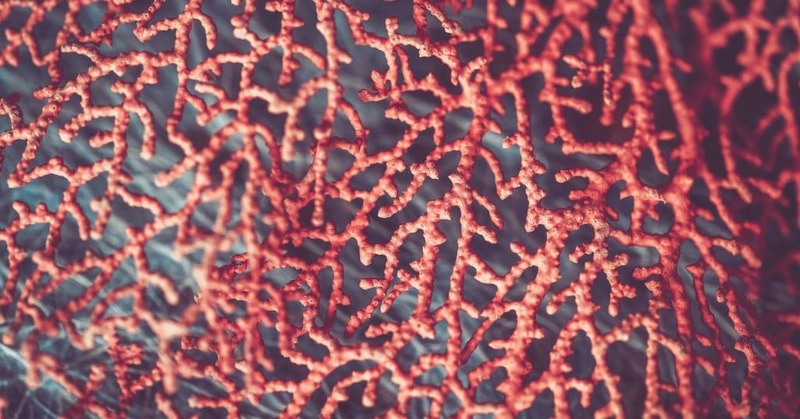 NERVE DAMAGE: HOW DOES IT HAPPEN? Nerves in the body are mostly unseen. So how can they ever be damaged, especially without one noticing? The answer is surprising, but also not that surprising. Because, more often than not, nerve damage is caused by very similar types of harmful occurrences in the body that are hard to detect a lot of the time, or which most people may easily overlook. Nerve damage (also called neuropathy) is also way more common than people might think. These are certainly not all the possible causes. There may be many others. WHAT ARE SOME SYMPTOMS OF NERVE DAMAGE? Perhaps more vital than knowing what causes nerve damage is how to recognize it. For this, getting acquainted with signs and symptoms is a must. These may range from very subtle issues to larger, more obvious problems with health that are much harder to ignore. Early detection to help reduce further nerve damage is key. If something is causing nerve damage in the body, it’s very likely going to continue causing more damage as soon as it starts, and thus create more symptoms and other health problems. 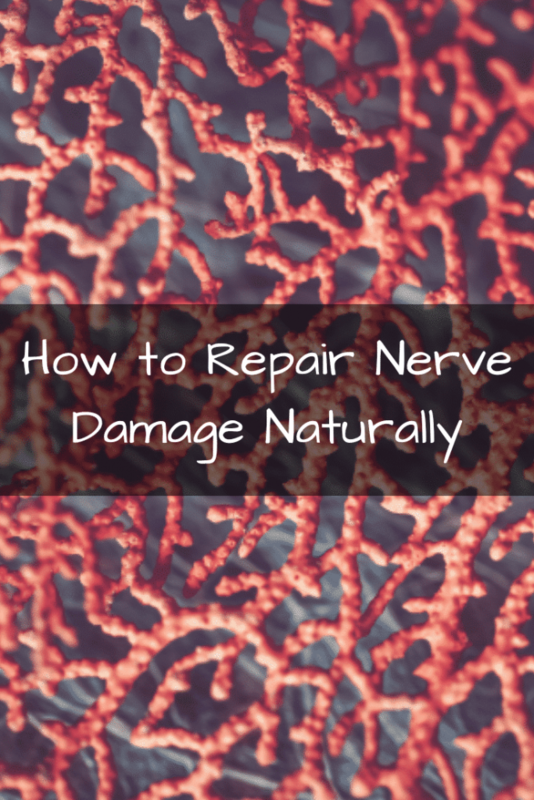 Keep in mind that these may not all be possible signs of nerve damage. Having one or two of these doesn’t mean that nerve damage is the issue, either. If experiencing a good handful of these symptoms (or all of them) however, be sure to visit a doctor or healthcare professional as soon as possible to look into nerve damage or other possible causes. 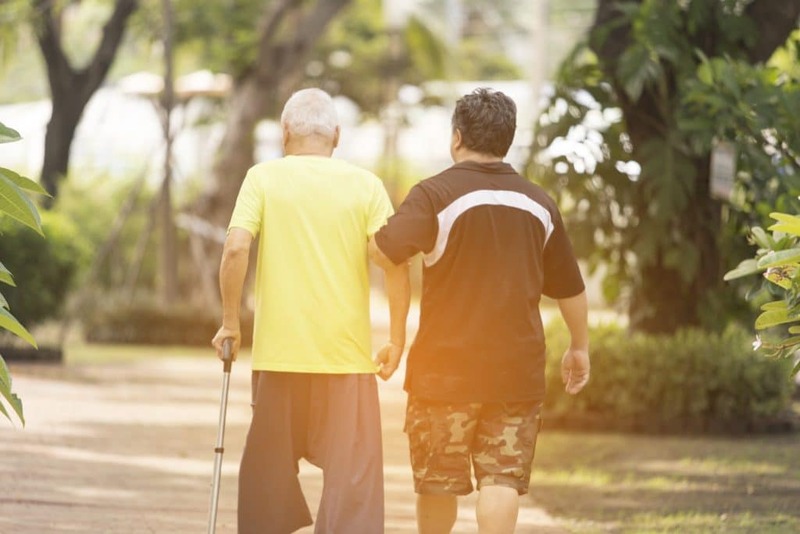 For an issue that can cause so many symptoms, the truth may come as a shock to some: there aren’t many ways to help heal, reverse, reduce the risk of, or support nerve pain or neuropathy. In fact, most doctors will recommend over-the-counter pain relievers for pain, but little else (besides typical lifestyle change recommendations that help illnesses causing these symptoms). In other cases, pharmaceuticals may be prescribed, but with a risk of side effects. Are there natural options that could enhance support and basic nerve health? If one were to ask a traditional healer or herbalist, their answer would be yes; while some scientific researchers would be likely to say yes, as well. The following are some of the best-researched natural herbs and mushrooms that are known to support nerve health, and which could thus help heal nerve damage. Epimedium, more famously called horny goat weed, is perhaps an herb better known, by both folk healers and modern researchers, as bringing healing back to reproductive problems, low testosterone, fertility, vitality and performance. 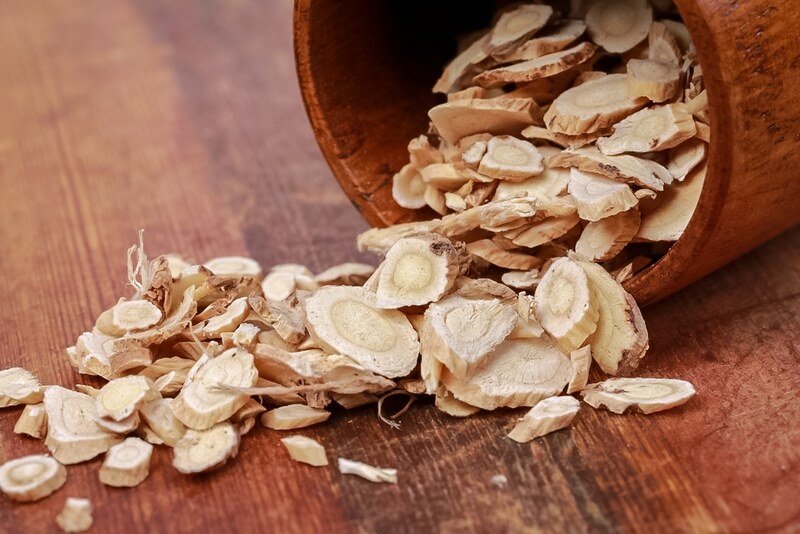 After all, one of its more legendary aliases was “brain tonic of the immortals.” This gives one a glimpse into what it can do for the nervous system, and possibly for nerve damage, too. Leave it up to scientists to discover the truths behind a legend: many studies have been done to see exactly what epimedium could do for the nerves. As it turns out, it may be a fair amount. One 2012 study found the herb could improve motor functions in nerves following a spinal cord injury. Another later in 2017 showed it healing nerves in hair follicles, which reinvigorated hair growth. Last but certainly not least, epimedium appeared to help with cognitive issues in test subjects in one study, which can sometimes be the result of nerve damage in the brain in some instances. Beyond being a great reproductive supplement, this certainly sounds like the making of a nerve tonic indeed. There might be no other botanical with as much research and excitement surrounding it than the lion’s mane mushroom. That is, no other botanical has this mystique when it comes to being a powerful natural supplement to help heal nerve damage. This is true of lion’s mane’s nerve damage-healing potential for many reasons. For one, a study in 2013 dubbed lion’s mane a “neurotrophic.” A neurotrophic means that it stimulates the re-growth and repairing of new nerves and neurons, which obviously has great value for those who deal with nerve damage. From this single quality, lion’s mane is also shown to help heal nerve damage related to all sorts of other issues that can be caused by it or related to it. For example, research shows positive effects from lion’s mane on issues ranging from cognitive difficulties, memory problems, focus, stress, and anxiety to helping with more major nerve-damage related conditions, such as neurological diseases, depression, and even stroke. Research like this means that, for those considering natural support for nerve damage, lion’s mane should definitely not be overlooked. It’s not a very well-known herb in the Western world. Still, in the Eastern world, and especially in Asia (specifically in Ayurvedic healing practices), an herb scientifically called mucuna pruriens (commonly called velvet bean) flourished as a healer of many things. Most notably, it appeared to heal many ails of the nerves. Numbering among these ails are low energy, depression, stress, anxiety, and much more. When it comes down to research though, all this falls down to one stellar quality about the bean-like plant: neuroprotection. Better yet, a 2013 review found that the seeds of the plant—used to heal extreme nervous conditions in Ayurveda—could actually translate into benefits for a major neurological disease involving nerve damage, Parkinson’s disease. According to another research review, this is possibly due to the seeds containing high amounts of an amino acid called L-DOPA (short for L-3, 4-dihydroxyphenylalanine). This amino acid acts like a neurotransmitter that works to re-stimulate the nerves and nervous system in general, and possibly not just against Parkinson’s (depression is a likely candidate, too). All the more reason to consider it as a natural nerve damage support. Never underestimate the power of vegetables—particularly greens. This can’t be said enough. But this perennial knowledge is packed with more meaning than we realize. Especially when one discovers sulforaphane, a sulfur-containing, all-natural-occurring phytochemical found in many of our most common vegetables: including kale, broccoli, cabbage, and many others. 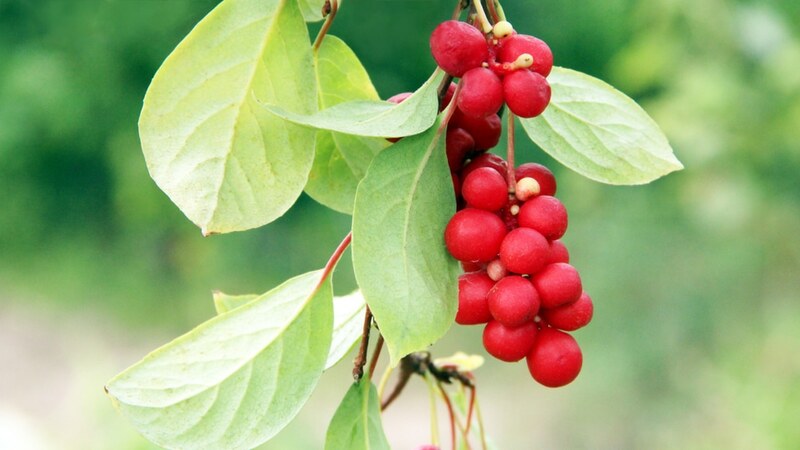 It’s known to be a powerful antioxidant, to fight cancer, as well as many more benefits. Yet it’s the nerve-boosting properties of this vegetable compound that are truly shocking. Sulforaphane may be neuroprotective, neuro-regenerative, and bring a whole world of good to the entire nervous system, which could come in the form of restoring nerve damage. Studies are showing this is very possible. One study suggested that sulforaphane protects the nerves through antioxidant actions. Another one showed amazing abilities to heal the nerves following a spinal cord injury. Instead of eating an enormous heap of vegetables, those seeking this nerve damage-healing potential can possibly find concentrated benefits in extract supplements containing pure sulforaphane. Many herbs and mushrooms could possibly provide support for those experiencing nerve damage, but there’s much more than can be done. What’s more, research on these botanicals is still in the early stages. None have yet been solidly proven to heal nerve damage, though they may support the healing process. In the meantime, and in addition to these natural options, here are some other tips that may help reduce nerve damage risk. WHAT CONDITIONS INVOLVE NERVE DAMAGE? More likely than not, one’s nerve damage (or risk of nerve damage) is related to a more major health disorder, condition, or illness. Even if it may not seem like it can be related to nerve damage doesn’t mean that it should be underestimated. If a person has any one of the following conditions, they may be at a higher risk of experiencing nerve damage. In these cases too, and in addition to lifestyle changes and use of natural remedies, be sure to discuss options with a doctor or keep an eye out on the symptoms of nerve damage if one of these is present. It’s hard to find direct nerve support for many nerve damage-related conditions in mainstream medicine. But it hasn’t been hard to find this same support in the natural and ancient world of traditional herbal medicine. 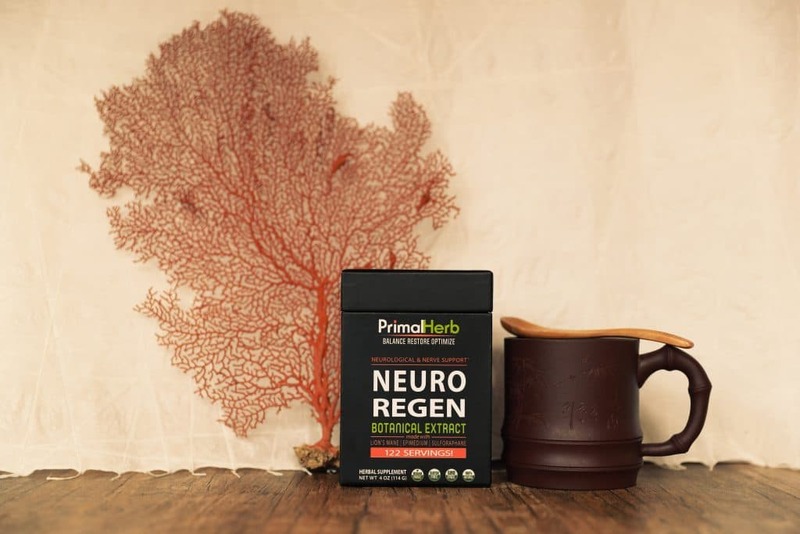 History’s most famous nerve tonics, overlapped with herbs and mushrooms supported by the most research for neuroprotection and neuro-regeneration, have been carefully chosen for our nerve damage supplement formula—which we proudly called Neuro Regen.